Our knowledge of the local rental market coupled with a tailored approach to advertising will help you set an achievable rent and find the right tenant. We offer an independent assessment of your property, carried out by Andrew Williams. This is free of charge and with absolutely no obligation. We will visit the property and advise you of any work required to meet regulatory requirements. We will also offer advice on any other actions you need to take before you let the property including necessary repairs or refurbishments. It’s important that you set a rent that is competitively priced, fair and achievable. Using our extensive knowledge of the local rental market, we will assess how much your property could fetch in the current climate. Our rental valuation will take into consideration the location, size, standard and condition of the property and whether it will be let furnished or unfurnished. During the assessment we will be happy to discuss the lettings process with you and answer your questions. If you are a first time landlord, you will have plenty of opportunity to find out more about what is involved in letting a residential property. At Williams Estates we use the very latest technology and proven marketing techniques to advertise our rental properties. 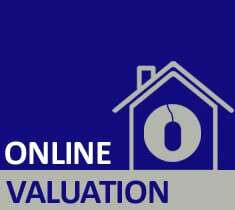 We use major property websites including Rightmove.co.uk and Onthemarket.com. Our own website www.westates.co.uk is responsive which means it automatically optimises the display to work and look good on smartphones and tablets. This gives your rental property the highest possible online exposure, whichever device your potential tenant uses. We tailor our marketing approach to the type of tenant you are looking for to attract genuine interest. Once instructed, one of the first things we do is to match your property with our list of waiting tenants and send them your property particulars by email. High quality photography is fundamental to presenting your rental property in the best possible way and floor plans are included as standard. We take time to capture the best picture of each room and show off its best features, ensuring every picture looks professional. As a landlord, you need peace of mind that the right tenants will be living in your property. All potential tenants on our rental database are pre-qualified by us before we carry out viewings to ensure they are suitable. We undertake tenant references and credit checks on your behalf using a specialist referencing agency. This vetting process is a critical step in securing a reliable tenant for you.